On the 25th July 2018, Iwan Munadjat held an IAGI – MGEI lunch talk on the hot topic of the Freeport divestment as it impacts upon the society of Indonesian Association of Geologists. 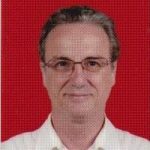 Mr Iwan has a long history of gold exploration in Indonesia and was included in the recent Indonesian governments technical due diligence team for the assessment of the Freeport geological resources and reserves. That due diligence material remains confidential, wherein this talk is based on public data and Mr Iwan’s broad and long geological experiences. The presentation was attended by about 25 IAGI members, made good use of slides, and was followed by some cross table open discussion. The unique history of the early discovery emphasised that if the Americans had not discovered the initial deposit, then its remote and extreme topography makes it likely the deposit may never have been found. Mining of Ertzberg provided the support infrastructure to expand near mine site exploration, resulting in the Grasberg open pit deposit. This strenuous and dangerous pioneering work by the early geologists (some died) and miners was supported by the Indonesian Governments cooperation over two periods of Contracts of Work (now same as 4th Generation mineral COW). In compliance with the COW system, regional exploration was undertaken and large areas of the COW were relinquished leaving four smaller separate blocks. Several other encouraging ore body targets have been identified (including a base metal target) that have yet to be brought up to the feasibility stage. The main focus of recent exploration has been to develop reserves and mine plans for the several underground gold and copper ore bodies, including a significant geotechnical understanding of the ore bodies and adjoining wall rocks. The Grasberg open pit is near its end of life, and the development of the underground block caving mine is in the start up phase. The surface processing plant has completed an upscaling to nearly 250,000 ton per day. Work for the transition from open pit to underground mining has been undertaken for several years with immense capital cost and ongoing government approvals. The recent government-initiated divestment plan is being undertaken at this critical underground mine development stage. · Should the mine be forced / obliged to stop due to a failure in the compulsory share divestment program, then the underground maintenance and the initial block caves may be in jeopardy of flooding (oxidation cause ground swelling issues), collapse and closure. It could take years and possibly US$ 20 billion to restart this collapsed underground mine. · Should the Ministry of Environment’s recent regulations on reduced tailings or other hot environmental matters not be resolved, then the economic feasibility of the mine may be drastically reduced, and perhaps force a mine closure. · The mine requires significant ongoing underground mine development wherein a guaranteed 20 year mine operation extension is needed to support the long-term mine feasibility. Should the government only grant 2 X 10 years mine extension, then the project risk (financial justification) is heightened. Initially the Mines Department sought to purchase the shares by regulating the valuation method in its favour and ignored the Rio Tinto and other factors. Fortunately, the deal has evolved wherein a MOU has recently been signed setting an agreeable price for the Rio Tinto participation interest (not shares), along with acquiring the Indocopper interest etc. It would seem the agreed price for the Freeport shares is fair and possibly at a slight discount to the government. We might speculate this discount is a reflection of the long (50 year) working relationship between Freeport and the Indonesian Government, and to encourage the Government to provide more stable business terms in the final agreement. · The present professional (including geologists) and local staff are concerned there may be detrimental changes to their employment terms and career paths. · Will the regional exploration and outlying other ore occurrences be further explored and developed, or will the Government limit Freeport to a cash cow? There is concern that the government has tended to oversell the progress on the deal. There is still a long way to go in terms of negotiation outstanding points (environment, business certainty, smelter etc), raising the purchase capital, arranging the local government interests with Inalum, drawing up all the legal documents, and gaining final political and corporate approvals. · Some politicians and public media want to keep Freeport as a “hot” issue. Fortunately, the negotiations are now proceeding well, with an emphasis on win-win (well each side can lose a little to reach consensus). This Freeport deal needs to be done promptly and done well in order for all parties to quickly get back to serious work. 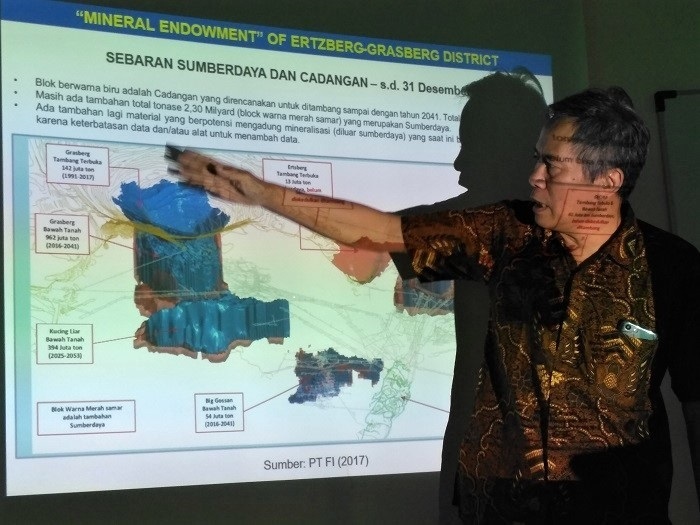 · The local and international mineral investment industry are watching this Freeport negotiation, wherein the outcome of Indonesia’s future exploration industry will be strongly influence by the nature of the Freeport deal. · If this is a good deal for industry, then we might expect it to influence a new “standard’ for public – private partnerships in the mining industry.